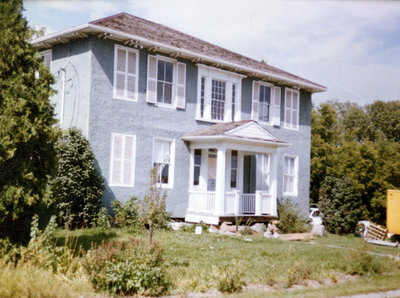 A colour photograph of the Jabez Lynde House at 960 Dundas Street West. View is of the front of the house. Jabez Lynde House, c.1986, unknown photographer, Whitby Archives A2013_030_001.